We are your one stop solution to mold problems, handling everything from the mold inspection & mold testing to the remediation to the restoration. We can return your property to as good as new. That has been our passion for over two decades. Ranked one of the wealthiest mid-size cities in the United States by the US Census Bureau, Pleasanton, CA certainly rolls in the wealth. Money magazine listed it number 63 of its “Best Places to Live” in 2010, and Forbes named it one of “Americans’ Top Hometown Spots” in 2009. Nerdwallet listed it third in terms of earnings in the United States in 2013. Give Indoor-Restore Environmental Services a call and speak with a certified mold consultant to get your questions answered about the inspection and testing services we offer to Pleasanton residents. But even a wealthy area like Pleasanton can be a target for mold. Property owners would be keen to do periodic mold testing, especially following the winter months of January through March when the city can get an average of nearly 3 inches of rain per month. This, coupled with extremely hot summers where temperatures regularly steep into the upper 80s and 90s, create perfect conditions for mold growth. As mold can lurk in hidden areas such as inside drywall, in insulation and under floorings, only a certified mold inspection can thoroughly determine of a property has been contaminated with mold. Anything else is an educated guess at best. 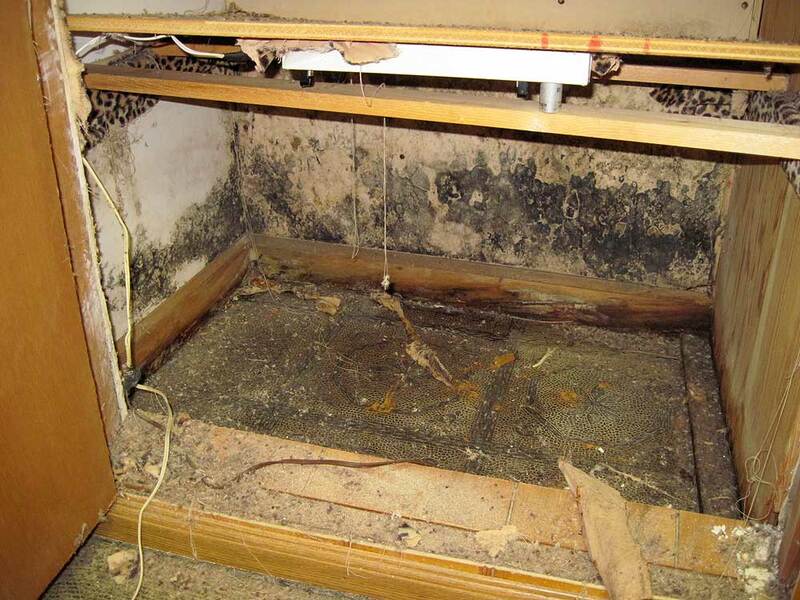 When it comes to mold growths, certainty is critical. Indoor-Restore provides mold inspection services for Pleasanton, CA and the greater San Francisco Bay Area. A mold inspection may be done on a precautionary basis, or may be done in the wake of water damage or unresolved health concerns. We begin with a full visual inspection of the property, but that is just for starters. We also examine the property with a digital moisture meter for a more thorough reading, and in some cases may use infrared thermal imaging to better spot water damage or mold growth. 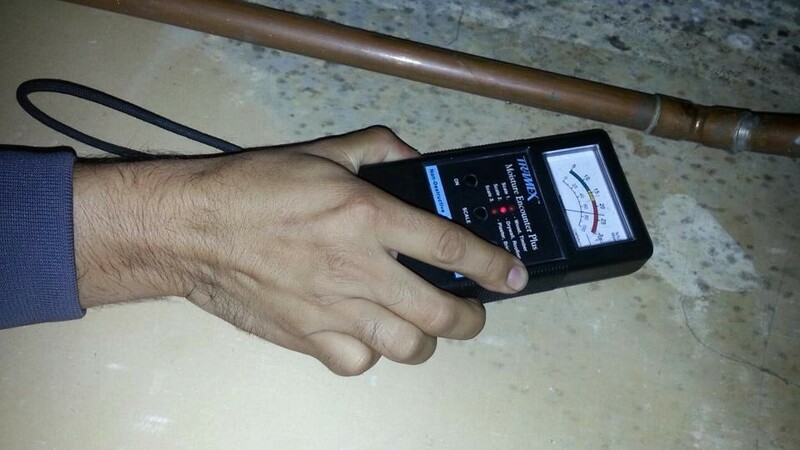 Our sampling process starts with an Indoor Air Quality test to check the environment for airborne mold spores. Studies show that air borne spores can be particularly exacerbating to those suffering from asthma, allergies and other inhalation problems. We also conduct surface testing and implement a variety of sampling types, customizing our work according to the unique needs of our customers. Schedule your mold inspection by our experts today! Surface sampling can involve swabbing, taping, bulk or dust, and is typically done alongside air testing. All mold inspection samples are sent to an independent third party lab in order to correctly identify the mold and any potential health problems associated with it. What sets Indoor-Restore apart in the mold inspection industry is the thorough training of our specialists. All of our mold inspectors IEA Certified and undergo continual on the job training as well as extensive courses. They are periodically tested several times a year. Many of them have backgrounds in construction and building inspection. All mold testing includes a comprehensive report where we identify the molds as well as provide any recommendations for removal and remediation. If remediation is necessary, the initial cost of the mold inspection will be credited towards the cost of mold removal. If mold remediation services are necessary, the property is subject to our industry leading 10 year warranty following clearance testing that ensures the mold has been completely eradicated. We have been leading the mold services industry for over 20 years, so you can be sure we’ll still be around to follow up on our promise. You can also rest assured that we will be the cheapest. We guaranty we’ll beat any competitor by at least 5 percent. All pricing, from our mold inspection and mold testing services as well as our mold removal and restoration, is provided up front so there are no surprises. Be proactive and schedule a mold inspection today. The sooner you spot the problem, the sooner you can deal with it and the less expensive the damage will be.